A former New York Central station. 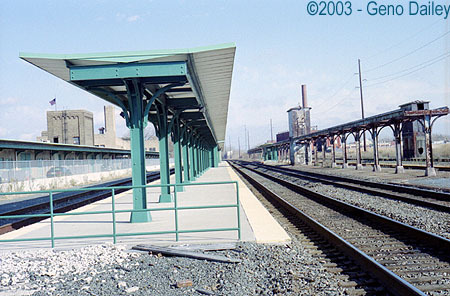 Here is the platform next to Track #2. 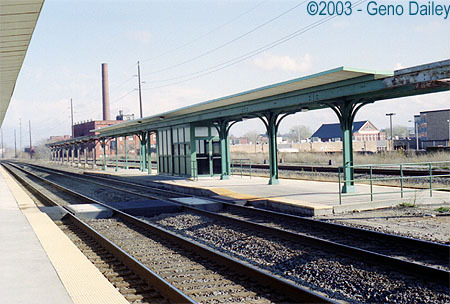 The Longer Platform against Track #1, the more commonly used platform. 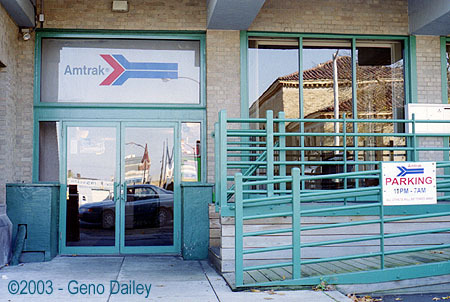 The Front Entrance of the station. This station is only open overnight when the Lake Shore Limited comes through. Tickets are not sold at this location, however a caretaker is on site to assist passengers when boarding. A full waiting room and bathrooms are also available when the station is open. or call 1-800-USA-RAIL and talk to Julie!